The future of Godzilla videogames. For the discussion of Toho video games and video games of Toho related characters only. Re: The future of Godzilla videogames. I’ve always wanted a Monster Island park simulator. Something akin to JP: Operation Genesis or the upcoming JP: Evolution, but without the customer management aspect (or you know what, maybe that could work too). You basically manage the island’s infrastructure, take care of the monsters and prevent them from escaping, and as you progress you get access to newly captured kaiju. Like in both the JP games, you get to control vehicles so you can explore the island from a human or airborne perspective, although normal gameplay would be the ‘god’s Eye’ view typical of the genre. Maybe there could even be a combat mini game where you capture new kaiju, or pacify rampaging ones on the island. Kaiju not adequately cared for go into rampage mode, where they wreck infrastructure, tangle with other kaiju, and maybe even escape. Other stuff like weather or (just for giggles) alien mind control plots could factor in as well. Agreed, it's unique, interesting, and isn't just "THROW ALL THE MONSTERS IN AND PUT IT OUT ON PS4/XBOX/PC" like you see in every other thread like this. What about the first Gamera video game, Gamera 2000? Did it ever get released here? If not, it should've; I've heard good things about it. Since there's no Wikipedia article on it, what kaiju appeared in it? mikelcho wrote: What about the first Gamera video game, Gamera 2000? Did it ever get released here? If not, it should've; I've heard good things about it. Since there's no Wikipedia article on it, what kaiju appeared in it? I own it, and also own the "making of / strategy guide" book for the game. I'm still a big fan of it, considering that it's a 20+ year old game. Jump ahead to 26:40 in the below video to see my favorite boss-fight in the game - Gamera battling a two-headed Gyaos over Alcatraz Island - and stay for the FMV cutscene that follows. Last edited by G1985 on Sat Apr 28, 2018 9:58 am, edited 6 times in total. I feel like the future of kaiju related games falls outside the norm of kaiju vs kaiju fighting games. More stuff like City Shrouded in Shadows and such. Kaiju-King42 wrote: Welcome to Toho Kingdom, where every conceivable opinion, no matter how outlandish or unpopular, is a possibility among the population. I might be alone in this, but I would love a Mario Kart type game with cute chibi styled kaiju driving around giant sized race tracks while using their powers to blow up their fellow kaiju racers. Maybe wreck a skyscraper on the road to slow down the ones behind you, take damage from the military and masers. It'd be fun. Always, *always* proofread, typos are Hedorah. If you discover you have made a typo, *always* correct it. Godzilla vs Kong: Kong won't die. He might win, he might lose, but he will survive. 1. If you don't want to be rude, *ask* me before you sig me. I've always said I would love to see a Godzilla game that gives us an homage to the entire history of the monster. 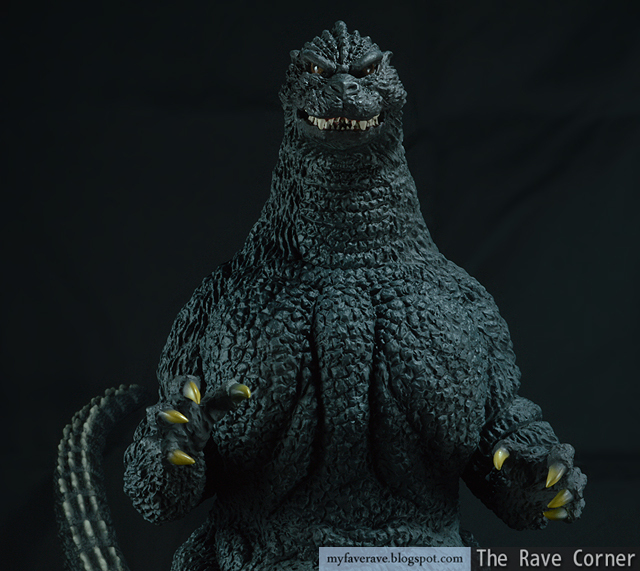 Whether it's a re-enactment of the movies themselves or a brand new canonical entry into the Godzilla series, As long as it hits all the right notes and includes scenes of the Japanese preparing for an invasion by Godzilla or some other unknown entity, then there are the various gratuitous battles with the military, monster battles, completely realistic and physics based city destruction and the final climactic battle, I'd be all in. What would make it even better is if the Godzilla game starts in the 1950's and as each stage progresses, Godzilla's outward appearance (and perhaps his internal motivations) evolve over time. So that would allow fans to be given access to various unlockable skins, the ability to have Godzilla to shift from protagonist, to force of nature, to antagonist and back again. If a studio like Insomniac could team up with TOHO to deliver a game like this then I would buy it in a heartbeat. Panther10 wrote: I've always said I would love to see a Godzilla game that gives us an homage to the entire history of the monster. Whether it's a re-enactment of the movies themselves or a brand new canonical entry into the Godzilla series, As long as it hits all the right notes and includes scenes of the Japanese preparing for an invasion by Godzilla or some other unknown entity, then there are the various gratuitous battles with the military, monster battles, completely realistic and physics based city destruction and the final climactic battle, I'd be all in. What would make it even better is if the Godzilla game starts in the 1950's and as each stage progresses, Godzilla's outward appearance (and perhaps his internal motivations) evolve over time. So that would allow fans to be given access to various unlockable skins, the ability to have Godzilla to shift from protagonist, to force of nature, to antagonist and back again. If a studio like Insomniac could team up with TOHO to deliver a game like this then I would buy it in a heartbeat. Holy crap, I was thinking the same thing. I was thinking on making a game one day called "Godzilla Movie Battle" or "Godzilla: Monster History". "Just as you distrust us, so we distrust others as well. It's wrong. We're all human. As humans we are responsible to each other. We are related. Refuse us, and you will abandon your brothers. We must learn to help each other." Forever doomed to be in the bargain bin. BARAGONBREH wrote: To be frank, your opinions on how a design ought to be judged ranks near the bottom of anyone on the forum, after you advocated for Ghidorah having wheels for feet and rainbow lasers during your weird argument that audiences don't care how laughable SFX look. Mr_Goji_and_Watch wrote: Forever doomed to be in the bargain bin. Thanks for showing me this game! It was fun! Too bad Daiei couldn't have made this into a film back in the day! What the hell? Is this some kind of Star Fox and Panzer Dragoon re-skin? Sadly Hollywood is more willing to take a risk on investing in a Godzilla film than any big name game company is willing to take on a Godzilla game. I would like a true kaiju sim. As in roaming a sandbox like area and causing hell on earth. And a U.S release of City shrouded in shadow, but that's never happening. Last edited by Dr.Cgad on Tue May 08, 2018 8:19 am, edited 1 time in total. Maybe now it is, but I'd say that might change once KOTM and GvK release and Godzilla is "known" again in the US. I'm hoping we can get King Kong in a Godzilla game before the license expires. Location: Flanking to the right. I would enjoy a return to 2D fighters, with a limited but well-designed roster. For fighting-style, Marvel vs Capcom or perhaps Street Fighter for inspiration, also have all Kaiju be stylised and not using only a single incarnation. 1. Based mainly on 1954 for appearances, with elements of 1989 (body frame), generic Showa (cool posing), and generic Millennium (tail frame). 2. An all-around fighter; Nuclear Pulse for a counter attack, Atomic Breath and Atomic beam for variant range moves, Blue and Red spiral ray for higher leveled supers. 1. Based on his planned 2001 design, some elements from his Showa and Final Wars designs. 2. Melee-focused fighter; Tons of comboes, turns around and uses Spikes for a counter, some utilising of his Ball move for a super variants. 1. Mainly based on her 2003 design, but with some colours and minour details from across the series. 2. A summoner-type; Can summon Battra Larva, Battra Imago, and Mothra Larva for supers, Polen used to counter, can Seal monsters for a higher leveled super. 1. Mainly based on his RoM design, eyes are black with white pupils, has fur on heads like Showa, body stature is more spread out like his Heisei design. 2. Grappler-based fighter; Can grapple monsters in the air to counter, utilise Gravity beams for a short stun window, acidic shield for a stronger counter super. 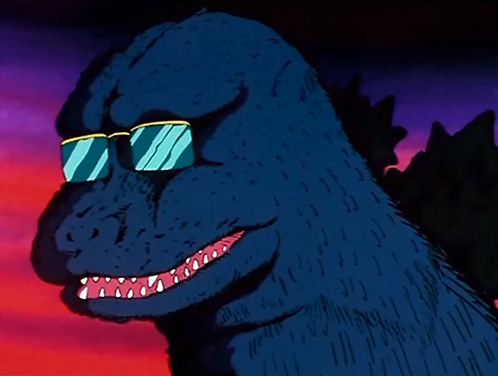 The problem with Godzilla games is that I think people will always want to play as the monsters, not as the people attacking or surviving the monsters, which is sad because I feel like there is a wealth of creativity to be mined from playing as the humans. Its not that I mind playing games where we play the monsters. I would just like more variety. We've had the tournament fighters and I've played as Godzilla plenty of times. Try to imagine something in the vein of "The Last Of Us" where the players play as humans present in Monster city attacks and accomplish missions to help fight and or survive the monsters. Say you have to go to a laboratory during a city wide monster attack to retrieve ingredients or the plans for the Oxygen Destroyer. When you finish that mission, you use the Destroyer, but something goes wrong and you create Destroyah organisms that you have to fight off, and future levels are impacted based on the choices you make and so on and so on. Or screw it, how about just making Godzilla 2: War of the Monsters a good game? Seriously, that game had a lot of potential due to its concept, but was too poorly executed to work. Lets start by NOT having a slot machine determine hits taken and given and maybe set it up more like StarCraft? Last edited by GojiDog on Thu May 10, 2018 10:57 am, edited 1 time in total. GojiDog wrote: The problem with Godzilla games is that I think people will always want to play as the monsters, not as the people attacking or surviving the monsters, which is sad because I feel like there is a wealth of creativity to be mined from playing as the humans. Yeah I remember right up till the release of City Shrouded in Shadow people kept saying they couldn't wait to play as the monsters and fight/smash. It's like what in the trailers even gave you a false impression that you played anything other than the human characters? The camera is zoomed in on them trying not to get crushed while running between two fighting monsters so playing as a monster would be hard to even see what you are doing, and then there's parts of the game where you have to run inside buildings or subways, places that only Legion soldiers could get in. It's not like all footage was just cutscenes, a lot of it was gameplay. Now granted there is one part where you control a robot but it's all of 30 seconds to smash debris blocking an exit on a level. I can't tell you how many times I had to explain to people on my videos covering this game that you don't play as the monsters. This is probably the same people who think Godzilla: Unleashed is teh bestest game e4er that needs an HD remaster and not the broken unfinished mess with wasted potential that it actually is. Last edited by Living Corpse on Thu May 10, 2018 11:21 am, edited 3 times in total.